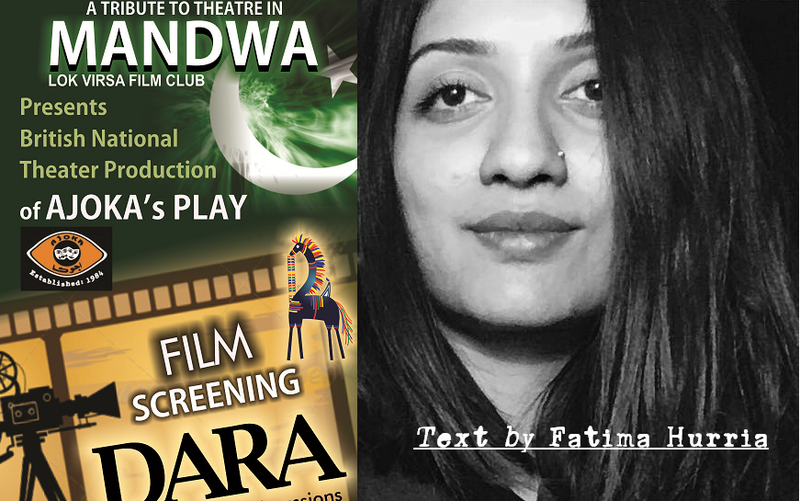 ISLAMABAD:August 13, 2017- In celebration of 70 years of Pakistan’s cultural heritage, Lok Virsa’s film club Mandwa arranged a screening of Shahid Nadeem’s play Dara on Saturday. Originally produced by Ajoka Theatre and adapted by the National Theatre UK last year, Dara received the award for best play at the Grand Eastern Eye for Art and Culture at a prestigious ceremony held at the Royal Festival Hall in London on May 22, 2016. Set in Mughal India in the year 1659, Dara is the story of Emperor Shah Jahan’s two sons whose mother’s death inspired the Taj Mahal; ferociously caught in a battle of succession for not just the throne but their opposing ideologies. It dramatizes the victory of the fundamentalist Aurangzeb over his moderate and liberal younger brother Dara Shikoh. Tanya Ronder’s adaptation of Dara spans the princes’ lives from cradle to grave. Poet and painter Dara Shikoh was the crown prince who had the love of the people and the favour of his emperor father Shah Jahan. Dara wanted to progress the Mughal Empire towards the vision of his grandfather Akbar: an India which is undivided and tolerant of its people’s religious sentiments. Aurangzeb, on the other hand had a more radical picture in mind for the future of India. Both brothers followed two separate strands of the same religion: Islam. Dara was a sufi, curious and consumed by the secrets of the universe and Aurangzeb was rigid and materialistic, blinded by his thirst for power; while Islam inspired love and poetry in Dara, Aurangzeb tactfully used it as a means to assert his authority on others. The play made its debut four years ago in Lahore before being seen in Karachi, Islamabad and later in India. The journey of collaboration between Shahid Nadeem’s company Ajoka and the National Theatre took four years to complete. Anwar Akhtar, the founder of online platform The Samosa, brought Dara and the work of Ajoka to the attention of National’s director, Nicholas Hytner. Hytner commissioned for the play to be translated from Urdu and performed at the National.